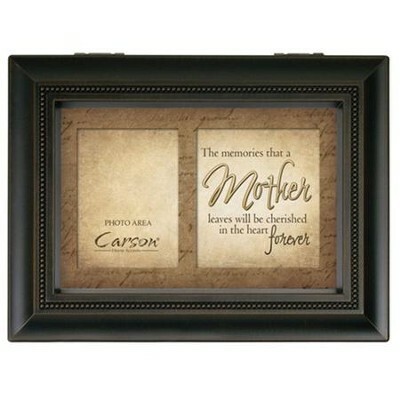 A keepsake gift for times of loss and bereavement, a gesture of comfort that is personal, with space for a photo memory and words of consolation. Woodgrain music box honors the memory of mom. When the lid is lifted, the tune of Amazing Grace is played on the music box; a gift of hope for the grieving family. The memories that a Mother leaves will be cherished in the heart forever. 8" x 6" x 2.75" with velvet lined interior. The picture size is 2" x 3". I'm the author/artist and I want to review Bereavement Music Box, Mother, Amazing Grace Music.